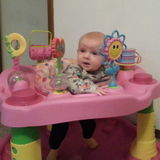 Nannyshare From My Home for Infants & Wobblers. Want to connect with Clairvetta? Hello, My name is Clairvetta. I have 20 plus years experience with infants and up. We are looking for a sweet bundle of joy to join us. I provide care for a small group of babies 1:3 ratio, from my home in St Johns, North Portland. Hours are M, T, W &Th. Closed on Friday. 8:00-5:00.